Meditation can do wonderful things for you! One of its widely known benefits is relieving stress and anxiety. What most people don’t know about meditation is that it makes us feel good by changing the actual structure of the brain. That’s right! Physical changes occur in your brain when you meditate consistently. You don’t have to wait for months to experience the benefits of meditation. A 20-minute session can make you calmer and more energetic, and studies suggest that just eight weeks of consistent meditation can change your mood and habits for years. If you’ve never meditated or you haven’t done it consistently, I hope the benefits below will push you to make it an everyday habit. I’ve only been meditating for a few weeks, and I can already tell you that it works! Let’s dive right in and see the many ways that meditation benefits your brain. 1. Meditation lowers cell volume in the amygdala. The amygdala is the part of your brain responsible for stress, anxiety, and fear. 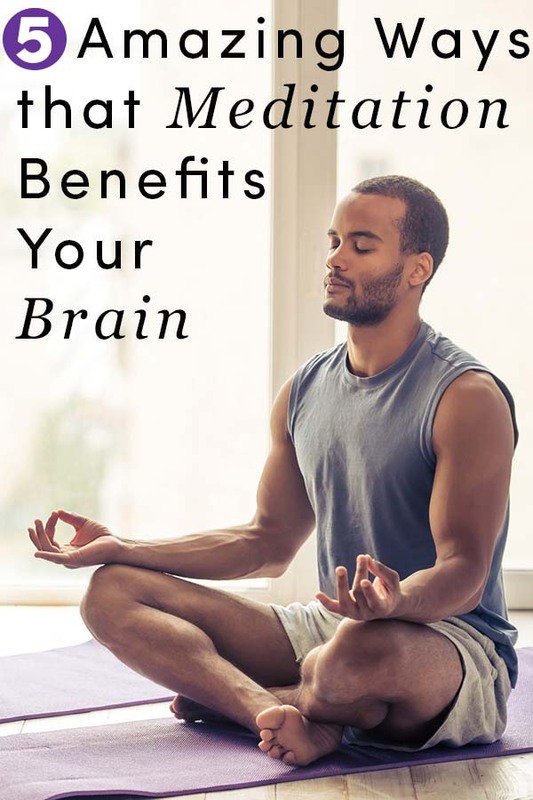 Through meditation, you can reduce the cells in this part of your brain, and, as a result, lower stress levels and ease anxiety, according to research. If public speaking terrifies you as it does me, meditation can help. Many people report being calmer speaking in public after they start meditation. 2. Meditation reduces self-referential thinking. It’s virtually impossible to have fun and be happy if you are always focusing on yourself. Luckily, research shows that meditation can quiet self-focus thoughts by reducing activity in the default mode network (DMN). In short, meditation can make you happier by shifting your focus from self to your surroundings, which will allow you to live in the present. 3. Meditation slows brain aging. 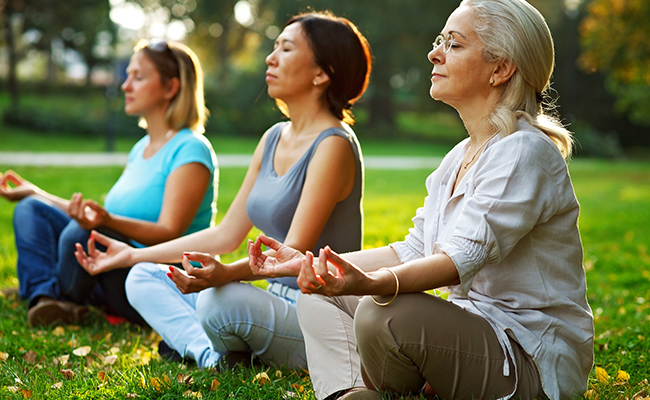 Adding meditation to a healthy diet and regular exercise can keep your brain forever young. A study from UCLA found that people who had meditated for 20 years had better-preserved brains compared to those who didn’t meditate. The long-term meditators had more grey matter in their brains. That doesn’t mean you should beat yourself up for not starting meditation 20 years ago. You can start today and still enjoy the benefits. 4. Meditation boosts self-control regions of the brain. Do you have a bad habit you want to kick? If so, you will find meditation quite rewarding since it boosts self-control regions of the brain, making it easier to break bad habits. The results of this study show meditation to be more effective than standard treatments in helping smokers quit. Whether you want to cut back on sugar, drink less coffee, or quit alcohol, meditating every day can definitely help. 5. Meditation improves focus and memory. You may know that people experience mental clarity immediately after meditation, but you may not know that meditating for several weeks can improve your memory and focus. This study found that two weeks of meditation reduced mind wandering and increased memory capacity, which led to the participants scoring 16 percent points higher on a test. These are just some of the benefits of meditation, and I hope they are enough to encourage you to do it. Meditation is by no means a magic bullet. You may be disappointed if you start it with the hopes of transforming your entire life in a few short weeks. You need to take a long-term approach to experience the benefits I’ve mentioned above. Most studies show that people experience these benefits after eight weeks. But why stop at eight weeks, when you can experience more benefits if you do it for longer? Unfortunately, I don’t have enough experience to tell you the best meditation technique, but I prefer transcendental meditation (TM), which involves repeating a mantra in your head for a certain duration. The video below expounds on the many benefits of TM. Have any of the benefits above motivated you to want to start meditating? Can anyone suggest a good site for meditation?